I just got back yesterday from my first trip solo with my just-turned 3 year old son. 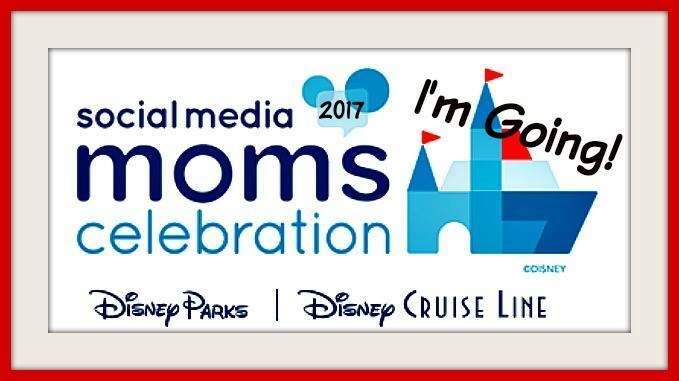 I’ve traveled before with both kids solo several times (harder for sure, especially when my son was younger! ), but this time big sis was left behind due to her school commitments. So it was just my little guy and me. This toddler loves to fly! Like many moms of little ones, I’m busy. Really busy! As always, I was scrambling to get ready for this trip as I seem to do every time. It’s hard to find time to make a quick run to various stores for those few items I need before I take off. My family relies a lot on online ordering and delivery services to simplify our lives. When I had the chance to test the convenience of Diapers.com again as I was prepping for this mother-son trip, I jumped at the chance. I used the site a lot with my daughter years ago. We had our diapers delivered when we lived in a tiny San Francisco apartment with no storage space, but it had definitely been awhile since I’d logged on. I was amazed to find just how much Diapers.com now has to offer. It’s not just diapers and wipes any more. There’s a huge selection of car seats, strollers, diaper bags, toys, cute clothes, and my favorite – travel gear! I dove in and looked for the items we’d need to make this trip a success. One of the features of Diapers.com I found very helpful is the curated guides. I, of course, went immediately to the “Travel Shop” and found product and gear recommendations broken down by travel type – road trips, air travel, and more. Since I’ve just about tried every travel product under the sun between my two kids, I can attest that these are all quality travel gear recommendations. You can easily see some of the top products in each category and save a lot of time browsing. I ordered 5 items and was able to make my selections within minutes rather than having to poke around through a lot of bad products to find the good ones. Diapers.com delivers in 1-2 days (1 day for where I’m located in the San Francisco Bay Area – score!) and has free shipping for orders of $49. It was just right for this busy traveling mama. So what travel gear did we get in preparation for this trip? 5 useful items for our family travels! My daughter has a Skip Hop rolling suitcase that she has taken on every trip for the past four years and it’s still going strong. My toddler son loves helping her roll it, so we decided it was time for him to get one of his own – a monkey, appropriately, for my little monkey. Electronic devices are life-savers for long trips with kids, but I also like to have classic toys and games for my kids when we travel too.Diapers.com had a huge selection of travel-appropriate toys from Melissa & Doug so it was hard choosing just one. This little mess-free ColorBlast coloring kit turned out to be a perfect airplane distraction. My son is right on the cusp of outgrowing his Pack N Play for sleeping during travel, so it was time to upgrade to a new toddler sleep solution. This Regalo travel cot might be the one toddler sleep product we hadn’t tried yet. The compact size, reasonable price, and informative reviews on Diapers.com spurred me to add it to my cart. So far, so good. Diapers.com of course has every type and variety of diaper under the sun, including training pants. My son is now potty trained, but he uses Huggies Pull-Ups at night just in case. We also had them on hand for airplane emergencies. Because it’s pretty much inevitable that you get stuck on a tarmac right when your toddler has “gotta go.” Luckily, we survived the trip accident-free! Big sister got something too in this shipment! Even though she couldn’t make the trip this time, we didn’t want to leave her out. We’ve loved our Bubble Bum booster seat with her, but we had used and abused the one we had so much over the past 3.5 years that it was time for a replacement. The Bubble Bum is so compact for safe travel with kids of booster seat age. And once our son turns 4 and reaches 40 pounds, he’ll be inheriting it soon enough. Want to try Diapers.com too? They have a great deal for new customers that can help you save big on travel gear as well as everyday baby and toddler essentials at a total steal. Use the code TRYUSLOVEUS until 12/31/2016 for 20% off your first order plus an extra $5 off with a case of diapers. * Then get 10% off your entire second order too. ** I saved over $19 on my order and managed to snag some of the travel gear at prices that just aren’t possible anywhere else online. I’ll definitely be back. Thanks to Diapers.com for sponsoring this post. I was provided with a gift certificate to try the site as well as compensation for this post. As always, all opinions are my own!